For the winemaker, this time of year is not only about preparing the winery for harvest but also about making blending and bottling decisions for the previous vintage. 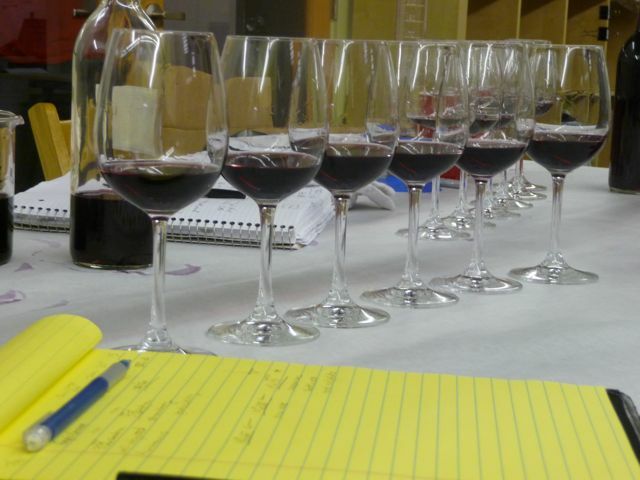 Friday we had the pleasure of evaluating the progress of our 2008 Lone Oak and Split Rock Pinot Noir. We compared the influences of the different barrels (new oak vs. neutral oak) and different clones that go into each. We blended different ratios of new oak to neutral oak and different clonal combinations (more on clones) to bring out the aromas, flavors and complexity we are looking for. We swirled, sniffed, tasted, gargled and spit our way through the morning. Our consulting winemaker is extremely knowledgeable of the different Pinot Noir clones and helped guide us as we blended, tasted and tweaked glass after glass. In general, we strive for well-balanced, food-friendly wines that express the fruit and floral notes typical of the varietal and the vineyard from which it comes. 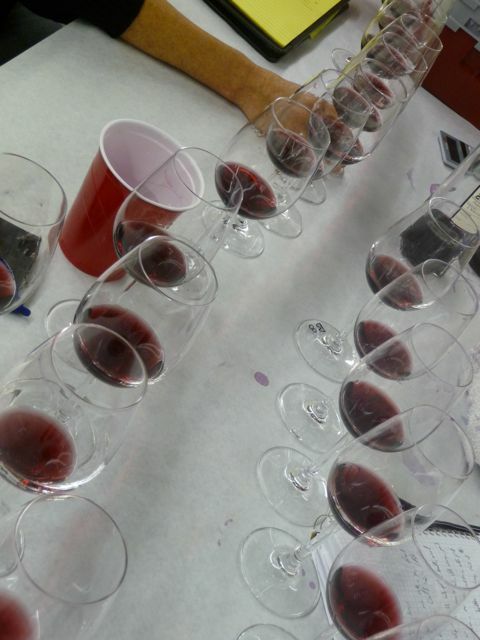 Combining different Pinot Noir clones from the same vineyard brings complexity and intrigue to the wine. Certain clones help provide incredible aromatics, some lend a note of creaminess while others provide structure. When tasted side by side, it became evident to me that a single clone, in contrast to a blend, can appear one dimensional. Creating the right blend, though hard work ;), was a great learning experience and critical to creating an exceptional wine. In addition, we also made some bottling decisions. We will bottle the Lone Oak this month. The Split Rock we will hold in barrel until after the 2009 harvest is complete and bottle in November. Stay tuned for their release soon after that.